Lyon & Healy Harps and Salvi Harps are proud of the skilled craftsmanship that goes into building each one of their harps. 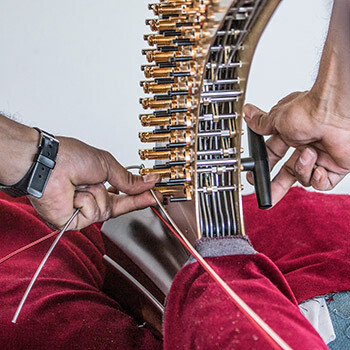 To maintain this level of expertise throughout the life of the harp, we recommend having your harp regulated periodically by a Lyon & Healy/Salvi Technicians Guild Member. plus knowledge of all the technical aspects needed by regulators. 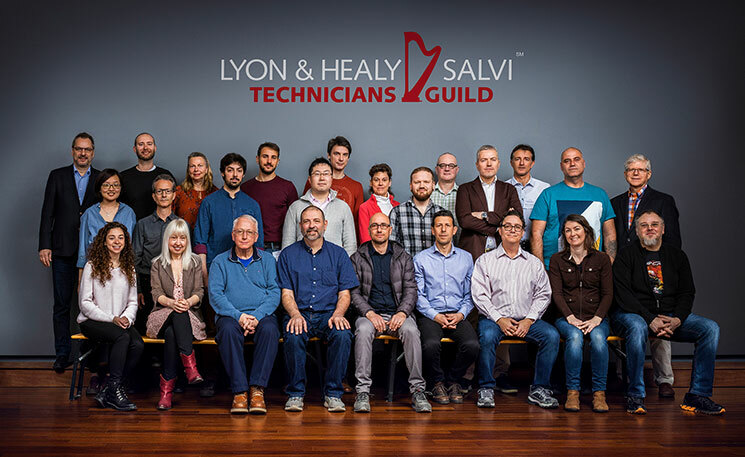 For ongoing education, Guild Conferences have been held at Lyon & Healy, Salvi and Bow Brand for members to discuss changes and improvements to harps and exchange ideas on problem-solving and techniques. Additionally, when your harp is regulated by a Lyon & Healy/Salvi Technicians Guild Member, your warranty terms will remain intact.